Speaker Darren McGrady - Former royal chef and culinary consultant. A favorite among women’s groups and corporations, Chef Darren McGrady brings an international flair and inner knowledge of the Royal Family. Now living and working in Dallas, TX as a chef, culinary consultant, author and public speaker, Darren travels the country sharing his expertise. Darren was chef to Queen Elizabeth II, Diana, Princess of Wales and Princes’ William and Harry for fifteen years and has cooked for five US Presidents. 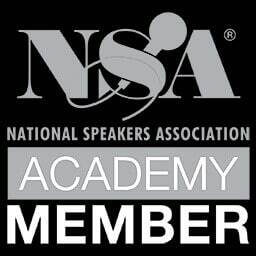 He is now owner of ‘Eating Royally’ fine dining, author, culinary consultant, event planner and public speaker living in Plano, Texas. His cookbook ‘Eating Royally; recipes and remembrances from a palace kitchen’ is in its sixth print with all of his advance and royalties donated to the Elizabeth Glaser Pediatric Aids Foundation. He has appeared on The Oprah Winfrey Show, several times on CNN’s Larry King Live, the Fox News Channel, BBC, CBC, MSNBC and Sky Television. On Fox and Friends covering the Princess Diana Memorial, CNN covering the Royal Wedding and cooked on the Today Show and CBS Early Show in New York. 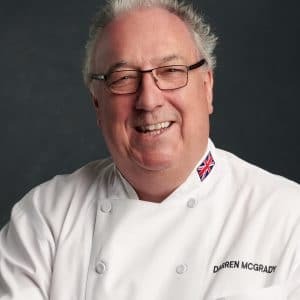 Darren trained at The Savoy Hotel, London before moving to Buckingham Palace where, for 11 years he cooked for the Queen and the Duke of Edinburgh and their guests on a daily basis, catering banquets for Foreign Heads of State including Presidents’ Bush, Clinton, Reagan and Ford. His duties included traveling with the royal family to Windsor Castle, Sandringham House and Balmoral Castle as well as on the Royal Yacht Britannia on royal tours around the world. In 1993 he transferred to Kensington Palace as Private Chef to H.R.H. the Princess of Wales. For four years, until her tragic accident, he took control of Princess Diana, William and Harry’s day-to-day menus. In 1998 Darren decided to pursue a new challenge in the U.S.A and moved to Dallas, Texas with his wife Wendy. They have three children, Kelly, Lexie and Harry. Darren became the first private chef invited to cook at the prestigious James Beard House in New York. His food has been featured on American Airlines in first and business class in-flight meals between Europe and the USA. Darren’s second cookbook Easy Seasons Entertaining – The Royal Chef at Home will be released in the summer of 2017.